This is the third part of my attempt to document the under-heard tradition of astounding jazz trombone work. The first part of the series is here. The second is here. This installment is a departure from the past: there is less trombone playing (it’s really more of a vocal disk) on this album than the other things I’ve chosen to highlight, but it’s just too good a record for me to ignore here. I have a fascination with what happens when great artists get near the end of their run. Late Beethoven string quartets come to mind as the archetypal example, but post-1960’s Lawrence Brown recordings, Johnny Hodges’ performance on “…and his mother called him Bill”, and Eric Dolphy’s last European recordings also fit the bill. This recording, Teagarden’s second to last studio date, is filled with the gravitas which make these things such powerful documents. 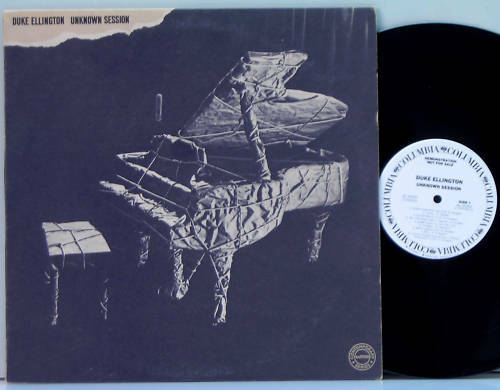 The facts: Teagarden went into the studio in January of 1962 and ended up recording 11 songs, most of which were written by under-lauded composer Willard Robinson (best known for Old Folks, which Miles Davis recorded on the Someday My Prince Will Come record). He’s backed by Don Goldie, a trumpeter who played in Teagarden’s last touring ensemble, a rhythm section, and a string orchestra which, in a twist of trombonistic fate, was partially arranged by Bob Brookmeyer. The way he sings “forget the past” in that example kills me every time. Teagarden dedicated himself to his art – he sacrificed his health and his finances to be out on the road, and I can’t help but to hear this record as tinged with a little regret over past choices made. He sounds like – and is – an old man looking back on his accomplishments, reflecting on past glory and tragedy. And that’s what I love about artists in the late stages of their career – you can hear something that is impossible to simulate, no matter how many licks you practice in all 12 keys: it’s the grain of his experience rubbing up against our smooth youth. There is very little improvisation on this disk, but I don’t really miss it – the record is so beautiful as it is, and Teagarden’s occasional melodic trombone statements and Don Goldie’s embellishments add just enough. I remember when I was a high schooler just getting into jazz, this record was totally unavailable. I wanted to hear it because I was really interested in Bob Brookmeyer (this was when I was still on euphonium – I was interested in hearing every valve trombonist I could in order to see if I had to switch to the slide instrument). I’m glad that I didn’t hear it then, because I think my young ears would have taken one listen to the string orchestra and then would have subsequently dismissed the whole album as commercial shlock (which it might be, although it’s also so much more). It is, happily, available now through MP3 downloads on amazon.com and on Verve’s website. I hope I’ve convinced you to get yourself a copy. It’s a video that gives me goose bumps every time I watch it. In some ways, Teagarden really seems to be phoning in his performance (at this point he’s probably played this arrangement of Basin Street Blues hundreds of times), but you can’t argue with the look in his eyes as he’s singing, or with the effort he tries to hide as he’s playing the trombone. Teagarden was a master! On March 7th, the Randy Pingrey Trio +1 opened for Shaw Pong Liu’s amazing Ligeti string quartet project. I couldn’t have been happier with the way the evening turned out – Ezra, Chris, and Kathy all played amazingly (check out the end of Short Notes for some pretty sick ensemble playing), and it was the first time I heard Ligeti’s first String Quartet (it was stunning). As always, thank you very much for listening! Stone Age Rhumba – Sneak Peak! My intention for Stone Age Rhumba was to write a tribute to the great trombonist Bill Harris while continuing the vibe of other pieces I had written for this ensemble (this piece shares a few motivic ideas with my piece Low Contrast, which you can listen to here). Harris was the featured trombone soloist of the Woody Herman Big Band starting in the 40’s. His technique, imagination, and sense of humor were totally unique and second to none, and his playing has been a recent source of inspiration for me. Harris’ most famous feature in the Herman big band was the tune Bijou by Ralph Burns. It was once described by Woody Herman as a “stone age rhumba”, which is where the title of the piece comes from. 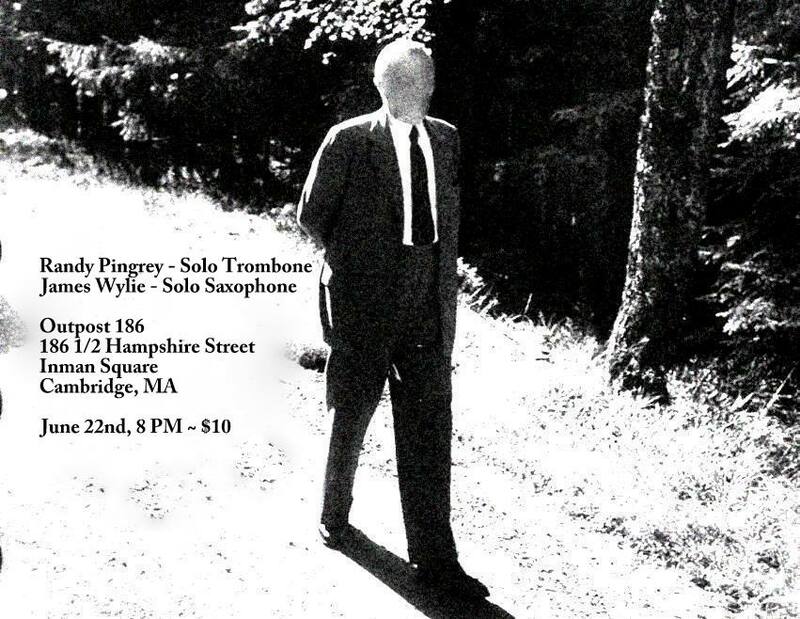 And as one final reminder – the Olson Pingrey Quartet plays on December 10th at Rutman’s Violins in Boston, MA. We’ll start at 8PM and play until 9:15 or so. There’s a $10 suggested donation, and we would really love for everyone to come out. Thank you! P.S. The gig has happened, and you can listen to the whole thing, including the full version of Stone Age Rhumba right here. I was coming home from a big band gig in Maine this evening – we were listening to music in the car – and Mississippi John Hurt came through the speakers. I had discovered Hurt back in February or so, when I was going through old delta blues records, searching for a vibe of authenticity that I felt was absent in my own playing. I checked out lots of amazing artists, and the three that stood out the most to me during those winter months were Charlie Patton, Lightning Hopkins, and Mississippi John Hurt. Hurt was particularly special to me. When you listen to really good blues musicians, a lot of them sound like they lived a really hard life – Patton sounds like his voice can just barely croak out the necessary syllables, Sun House sounds as if he’s tearing his guitar apart – pulling each string right to its breaking point. Hurt is different. He sounds normal and gentle, not like the good-fer-nothing deviant musician type, but like the type of guy that quietly lives his life going to work during the week and to church during the weekend. And if he sounds like it, it’s because that’s what he did. After cutting a series of sides for Okeh Records in 1928, the Great Depression (and probably his disposition for family life) put his music carreer on hold until the folk revival movement of the 1960’s restarted it – and he became a real star. For the 30’s, 40’s, and 50’s he was a share cropper and weekend gig musician in Avalon, Mississippi. But most important of all is the music. Listening to his stuff is reassuring to me: he’s not necessarily hip like blues musicians typically are. His voice is soft and delicate and his guitar style is very precise and meticulous. He was living proof that you don’t need to be a hipster scumbag to make interesting music, that people who weren’t cool also had a right to express themselves, and that expression could sound good and interesting to other people.